(Saint-Georges, QC, October 16 2018) Manac Inc. (Manac) is pleased to announce the appointment of Marcel Maillet as its new Regional Sales Manager for the Atlantic Provinces. Marcel joins Manac with a solid background in the trucking industry. Prior to his arrival at Manac, Marcel held a position in sales for a very well-known truck and trailer dealership in Moncton, NB. Marcel is very well respected in the transportation industry. He is recognized for his ability to develop and maintain strong and lasting relationships with customers. 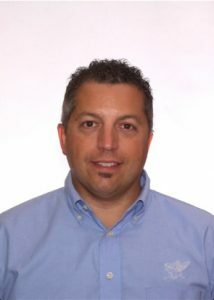 Marcel will be responsible for overseeing Manac’s existing customer base and expanding our coverage into the Atlantic. Marcel is based in Moncton, NB and can be reached at the following number: 877 653 7093. Manac is the largest manufacturer of trailers in Canada and a leader in the manufacturing of specialty trailers in North America. Manac offers a wide range of vans, flatbeds and specialty trailers such as dumps, low beds, grain hoppers, chassis, chip and logging trailers, all of which are sold in Canada and the United States namely under the recognized brands Alutrec®, CPS®, Darkwing®, Liddell Canada®, Manac®, Peerless®, UltraPlate® and UltravanTM. Manac services the heavy-duty trailer industry for the highway transportation, construction, energy, mining, forestry and agricultural sectors and manufactures its trailers in facilities located in Saint-Georges and Laurier Station (Quebec), Penticton (British Columbia) as well as Oran (Missouri, US).